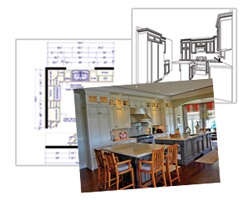 Global Sales: Kitchen Design - From Sketch to WOW! When customers ask why they should create their new kitchen with us, we start smiling. Kitchens are our favorite project to work on. There are so many components - cabinets, fixtures, plumbing, countertops, appliances, hardware and more. And so many opportunities to make your life easier and more functional. We excel at helping our customers plan their kitchens. We help them select products that will serve them best in terms of looks, durability and value. We take the complexity out of ordering and shipping by handling the consolidation and shipment details. Click here to learn more about our process. Also, check out our Design Gallery for some great inspiration.